a pejorative term used in the U.S. to refer to women who allegedly collect excessive welfare payments through fraud or manipulation. 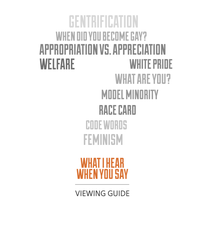 Explore the assumptions and misgivings of pejorative phrases like “Welfare queen” from unique and differing points of view. Professor Kimberlé Crenshaw: "Welfare Queen" exemplifies intersectional discrimination. What do you hear when someone talks about welfare? Do you think access to healthy food should be a basic social right? Use the hashtag #WhatIHearPBS to share your thoughts. Dig deeper into the conversation with a detailed Viewing Guide: What I Hear When You Say: Welfare.